Search on Southwest.com for your reward flight options. Check to see how many Rapid Rewards points you need for your flight. If you have enough points in your account already, you can directly book the flight. If you don’t have enough Rapid Rewards points in your account but you do have enough Chase Ultimate Rewards points, you can transfer the points into Rapid Rewards points. Point transfers must be made in increments of 1,000 Ultimate Rewards points to 1,000 Southwest Rapid Rewards points. The point transfer should be instant after you login to your Rapid Rewards account. When booking free reward travel, I’ve always found that booking in advance is always the better option. The earlier I book with points, the lower the total point cost will be. The longer I wait to purchase a flight, the more points I will have to spend. One of my best friends booked 2 tickets from Los Angeles to Miami, Florida for only 12,500 American Airlines miles each, an incredibly valuable use of American Airlines miles. When I finally went to book the same flight, they were out of tickets. Darn. It always helps to diversify your points and miles balances. Even though we could not take the same flight, I found the next cheapest option: booking our flight through Southwest. The flight options from LAX (Los Angeles) to MIA (Miami) on Southwest costs a lot more points than flying to FLL (Ft. Lauderdale) instead. I found that our cheapest points option was to book our departure flight to FLL from LAX for 16,967 Rapid Rewards points and $5 for each ticket. If we were to pay cash for these tickets, they would come out to be $326 each! This gave us a value of 1 Chase point converted to 1 Rapid Rewards point = 1.9 cents. If we were to convert 16,967 Chase points into cash, it would only have a value of $169.67. Using the same points to book a free flight almost gives us double the value per point! Not only did we save $652 on our departure flights, we only needed to pay $10 total ($5 each) to cover government taxes and fees! To get from Ft. Lauderdale to Miami, we will be taking the Tri Rail www.tri-rail.com train, which will cost us $5 for the 47 minute ride. 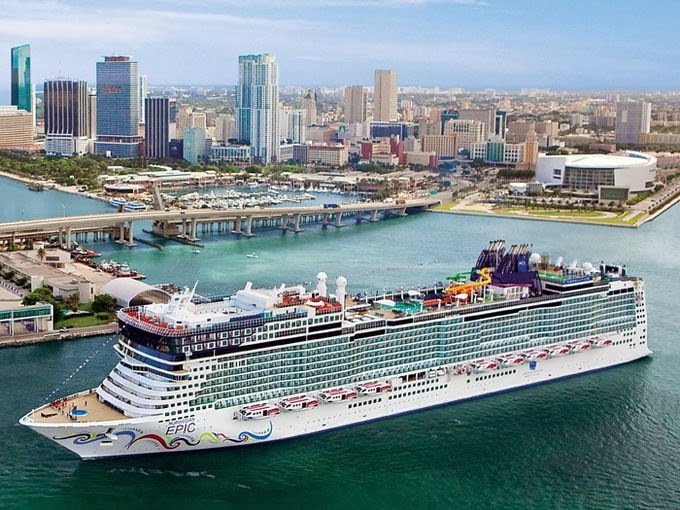 We are arriving one day before our cruise departure, so will need a hotel room for one night. I found a great hotel option by booking through Starwood Preferred Guest with some Starpoints. We will be staying at the Element Miami International Airport, which is about 15 minutes from our departure port. 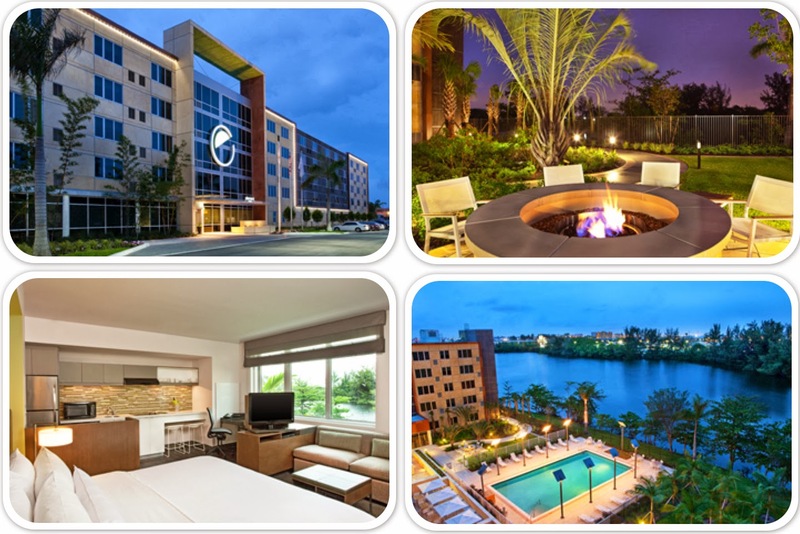 On Tripadvisor, the Element hotel ranks #29 out of 131 hotels in Miami, Florida. This hotel is an SPG Category 3. I booked the room for 7,000 Starpoints, saving us the regular rate of $202.38 (after charges and taxes and even 10% off by booking early). This gave us a value of 1 Starpoint = 2.9 cents, an excellent redemption rate. Did I mention how valuable Starpoints are? For our return flight, we also found it cheaper to fly out of FLL (instead of MIA) to return to LAX. Southwest airlines offered us better point redemptions than American Airlines. 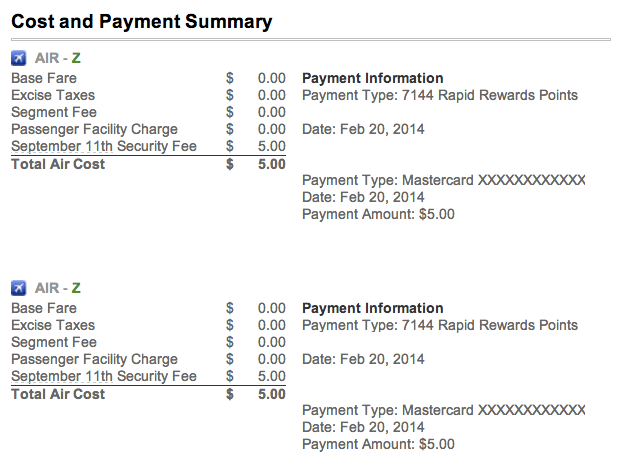 We booked our return flight from FLL to LAX for 7,144 Rapid Rewards points and $5 each. Our return flights would have cost $149 each if we booked it with cash. Luckily, we have enough points where we don’t need to pay cash for flights. This gave us a value of 1 Rapid Rewards point = 2.1 cents. If we were to convert 7,144 Chase points into cash instead of Rapid Rewards points, it would only have a value of $71.44. Using these points to book a free flight gives us double the value. For our return flight, we saved $298. Total cost of taxes and fees comes out to be $10 for both of us. This allows us to fly from Southern California to Florida, and stay one night at a nice hotel, for nearly free! Total cash spent: only $20! I enjoy creating these posts to showcase how valuable your credit card points can be when redeemed for airline miles instead of cash back. We all have enough to worry about with our finances: paying rent, paying the bills, eating healthy, having money for entertainment, buying a house, buying a car, and trying to save for retirement on top of it all! Travel is one of the few things we don’t worry about because it can be covered for mostly free with points. Travel hacking does take some work, but over time you will not only save a ton of money on travel expenses, you will also increase your credit score while getting to see the world for cheap.